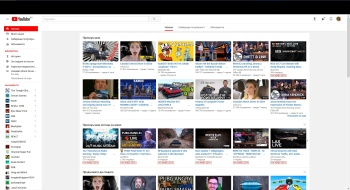 Is it just me or for some reason the YouTube cookie PREF that stores the "go back to old YouTube layout" values keeps getting reset to the new layout values? It usually happens within few hours. I tried running FF 56 with my latest profile backup for a while and was working fine. Today it seemed to be working fine with FF 57 too,but it happened again. It is really annoying to suddenly get the new layout while browsing when you have opted out of it time and again. I'm a little late to the show here and I don't use 57 yet... but do you have any security software or other cleaning software running in there that might be causing the problem? ... do you, or can you... try to find a specific timing for this issue? ... you know, like it seems to happen every 2 hours? or so... know what I mean? It seems to happen randomly. Sometimes few times in an hour or two and sometimes it takes longer than that. No cleaning software. I have Kaspersky Internet Security. But it seems to only happen with FF 57 and not with FF 56 with the same other software. Or maybe i wasn't testing FF 56 long enough. I don't know. I am curious how the "new layout" differs from the regular layout? I routinely use Firefox 47.0.1 when I go to YouTube, and I occasionally see Sponsored Ads below the videos as they are playing. That Sponsored Ads field goes away most days after awhile, if it appears at all some days. And are you running as Ad blocker? You can get the old layout by setting the user agent string to IE11 without cookies. Since I'm on 52esr I've got the old addon that makes it easy to go back and forth but for 57 there are Custom User-Agent addons available that will let you set the user string to IE11 only for youtube so you'll always get the old format, at least for now until google does away with it. I just don't like the huge spaces between items.So much space is wasted.And more importantly it breaks the YouTube+ script i am using.There is a version of the script for the new layout, but it is not as stable yet. I might try to find how to spoof my user agent only for YouTube as you suggested.I too noticed that IE always uses the old layout so maybe that could be my workaround for the time being. You know what is really weird here though is that in Firefox you set it up to use the old format and from what you posted it sounds like it used your desired format for hours? ... or??? and then it gets changed back... so, if it's a cookie issue and the desired cookie is installed but then it gets replaced... that just sounds weird... especially if you don't have any cleaning stuff in there... maybe AV software is over protecting your? After i switch to the old layout it works fine for hours at a time.The thing is that every time i load a YouTube page the PREF cookie expiry date updates to the current time + 2 years.So maybe it keeps getting recreated with the proper values and at some point it resets to the new layout values. Another weird thing is that when the cookie resets to the new layout values, the cookie is no longer recreated on every page load(the expiry date stays the same),but it has an expiry date of 4 months ago + 1 year. It just reset again and it has this as its expiry date: 20/Aug/2018 08:58:49. I don't think anything is messing with the browser since.I even disable any features of programs and AV software that tamper with browser settings and stuff. Btw this is a portable version of FF,but i have tried a properly installed version and even a new clean profile for a while and it is still the same. I thought that maybe YouTube is doing this for FF 57+ only since so far i haven't seen this when i tested my FF 56 backup for a while. I will try to spoof my user agent as FF 56 or lower and see if it still happens.If it still does then it is either FF 57 fault or something else on my machine is causing this somehow. If anyone else is using FF 57+ please share if you see anything like this happening. I will report back when i do more tests. With user agent set to FF 56 it just reset the cookie to the new layout again.I set the user agent to IE11 and reloaded the page and i got the old layout.So for the time being it seems the workaround is to use the IE11 user agent for youtube. Still no idea why the cookie gets reset in the first place tho. I suppose that it could also be a bug in 57 that has yet to be fixed. And even though you have a work-around ... and when you feel like doing this... you might reboot your PC into safe-mode with network active and then see what happens... given that it can take hours for the problem to happen it may not be worth the test... just a suggestion. Try using a UserScript for GreaseMonkey, ViolentMonkey etc. It has worked for me and hope it works for you too. Lol.I almost forgot about this topic. I think i found out what was causing the reset to the new layout.The culprit turned out to be(i think) a feature from Ghostery addon.It is called Anonymize trackers.As the name of the feature suggests and the description it gives, it anonymizes any trackers that are unblocked or unknown.And maybe because of that every once in a while YouTube "thinks" I'm accessing it from a new Browser/Device and sets the new layout by default. Since i turned off that feature i have not been reset to the new layout yet and it has been days now. So i think the issue is resolved now. Many, many thanks for the feedback. You'll know if you want YouTube's old style layout or not. Trust me, you'll know. 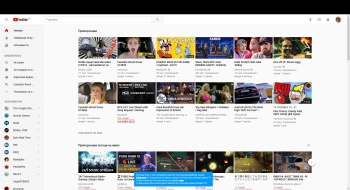 You can force YT to use old style with either cookies or a Greasemonkey, etc. script, but both methods have their pain points. #2. Search (top left box) for the general.useragent.site_specific_overrides entry and make sure it is set to True. If not, right click entry and Toggle it to True.